The UK Corporate Governance Code (the “Code”) requires the Company to have an effective Board whose role is to develop strategy and provide leadership to the Company as a whole, as well as ensuring a framework of controls exist which allow for the identification, assessment and management of risk, ultimately taking collective responsibility for the success of the Company. Through the leadership of the Chairman, the Board sets the Company’s strategic goals; ensuring obligations to shareholders are met. Matters reserved for a decision of the Board include approval of Group strategy, annual budgets and business plans, acquisitions, disposals, business development, annual reports, interim statements, and any significant funding and capital expenditure plans. The Board meets regularly, usually monthly, to discuss and agree on the various matters brought before it, including the trading results. Angus started his first business selling telephony systems in 1984. Since selling his first business he has established, grown and sold 5 more profitable concerns in the telecoms and internet sector. 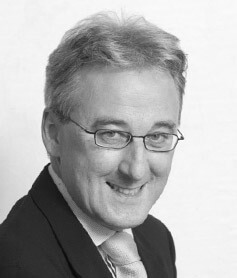 In December 1998, Angus founded iomart and has been the driving force behind the Group’s strategic development. Angus' contributions to the commercial sector were formally recognised in 2004, when he received the prestigious Glenfiddich Spirit of Scotland Business Award. Scott has over 25 years’ experience in the accounting and finance profession. He was Group Finance Director of AIM listed InterBulk Group plc for nine years before the group was successfully sold to Den Hartogh in March 2016. Before this he held a number of positions within the Clyde Blowers portfolio including Group Financial Controller for the Clyde Bergemann Power Group from 2003 to 2006 and more recently was an Investment Director at Clyde Blowers Capital. 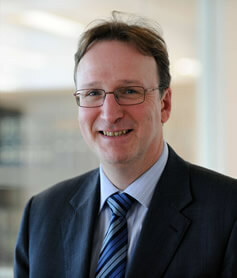 Scott is a member of the Institute of Chartered Accountants of Scotland, having qualified with Arthur Andersen in 1995. Andy joined iomart in April 2010 and is currently the Group’s Director of Finance which includes the role of Company Secretary. Previous to this he held a number of senior financial roles in the organisation, including Group Financial Controller for Operations. 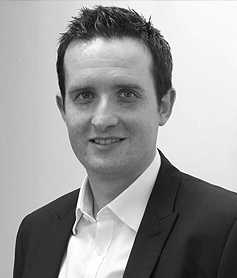 Prior to joining iomart, Andy worked in professional practice. He is a member of the Institute of Chartered Accountants of Scotland. 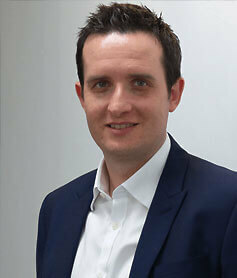 Ian has a wealth of experience in the finance and corporate advisory sector. During a 16-year career with Deloitte LLP, he undertook roles within corporate finance and global advisory services. He sat on the UK board of Deloitte LLP for over 8 years. Ian is a member of the Council of the Institute of Chartered Accountants of Scotland. 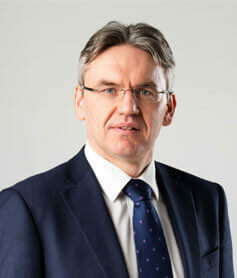 He is a Non-Executive Director of STV Group plc and Killinchy Aerospace Holdings Limited. Richard has over 30 years’ experience in the legal profession and was managing partner with McGrigors LLP until April 2012 when it merged with Pinsent Masons LLP. After the merger and until June 2015 he was Head of Client Operations for Pinsent Masons LLP, which was a main Board executive position, and then held a non-executive role through to May 2016. 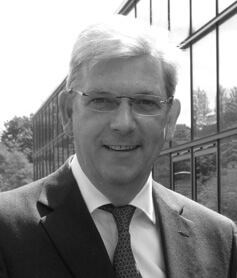 Richard is currently the Executive Chairman of Complete Electronic Risk Compliance Limited (Cerico), a Pinsent Masons LLP subsidiary, and has held this role since June 2016. 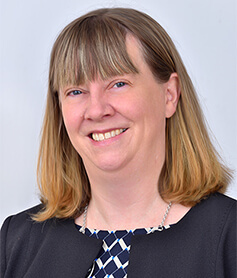 Karyn is a chartered accountant, formerly a partner with PwC, and has over 25 years’ experience in providing a range of audit and advisory services within the financial services sector. Karyn is also a non-executive director at the Scottish Investment Trust Plc, North American Income Trust Plc and the Scottish Building Society. The Code requires that there should be a clear division of responsibilities between the running of the Board and the executive responsible for the Company’s business, so as to ensure that no one person has unrestricted powers of decision. The Chairman is responsible for the leadership of the Board, ensuring its effectiveness and setting its agenda. To facilitate this, the Chief Executive Officer chairs the Group’s Operations Boards which additionally comprises the other executive directors and, where appropriate, senior members of the management team. The day-to-day operation of the Group’s business is managed by these Boards. The iomart Group Board has established three committees, the audit committee, the remuneration committee and the nominations committee. Membership of both the audit committee and the remuneration committee is exclusively non-executive. The Audit Committee’s role is to assist the Board with the discharge of its responsibilities in relation to the internal controls and external audits. The Audit Committee will normally meet at least three times a year. The Committee has responsibility for making recommendations to the Board on the remuneration packages of the Executive Directors.